Most of the time when I am conducting an interview with a celebrity, I have more interview material than space for printing the interview. Here are some blurbs from stars that did not make it to the print version of the interview, but were too good not to publish. Jennie Garth (on deciding to compete on “Dancing with the Stars”): I had like a moment of insanity when I said yes to that. I didn’t realize, sometimes you get yourself into things and you are like, “What have I done?” And that was definitely one of those things for me, but once you are in, you can’t get out. I just had to keep moving forward. I had to keep going. It was go-time, and I had to go. It ended up going well — much better than I thought — but every moment, every turn, was unknown to me. I was in unknown territory. But it was fun, and it was exhilarating. It was challenging, and it was kind of freeing in that I really feel that I could do anything. Jaime Pressly (on doing a wrap-up or reunion show for “My Name Is Earl”): I would be game to go back to that set and work with those people any day, any time. And I think everybody else that was a part of the show would say the same thing. It was the greatest job I’ve ever had and the greatest group of people that you could ever ask to work with. They all hold a very dear place in my heart, and I miss them all terribly. Erin Karpluk (on similarities between her and her character on “Being Erica”): I like that when life gets her down or she stumbles in life, she is able to pick herself up, dust herself off and keep going. So that is something that I have learned personally from her. I've heard from friends and family that there are certain quirks and mannerisms that are my own that come out in the character. Usually any kind of awkward moments she is having is probably pretty authentically Erin, because I find that I can be awkward in life, and I’m not afraid to make mistakes. That is something of me that I bring to the character. And then on a dramatic level, anything to do with family is something that I can just draw upon from real life. The one thing that Erin and Erica both are is we are very committed and empathetic toward our loved ones. My family and my friends mean more to me than anything. I feel very lucky to have that connection in my own personal life, so I can draw upon that in my acting experiences. The fact that I work with such wonderful cast members, it just makes it so easy for us to have that connection. It’s like a real family I have now when I go back to Toronto to shoot. It’s really lovely to go back to those actors and create those connections. Ross Thomas (on working with Helen Hunt and Dennis Quaid on “Soul Surfer”): It was a bit surreal, to be honest. They both are icons in their own right and a pleasure to work with. Helen is an avid surfer — surfing is what really brought us together. Dennis is interested in learning and getting good. At first, he played golf on his days off, but we got him hooked, and he became a surf junkie. I think that really carried over into our performances, that sense of family. Jane Seymour (on her children in the biz): My son, Johnny, one of the twins, is becoming a rock star. He is about to be signed by a major label. He’s writing this amazing music. He’s extraordinary. He’s the lead singer and the lead guitarist. I’m just in awe of his talent. Then my oldest son, Sean Flynn, he’s 25, he does the most extraordinary photographic art. Collectors have already been buying his stuff. He was studying to be a filmmaker and all of a sudden, the next thing I know, he’s doing this really unique, extraordinary photographic art. One of my daughters, Katherine Flynn, is an actress. She also writes great comedy. She ended up staring opposite me in a movie called “Perfectly Prudence” for the Hallmark Channel just recently. She was fantastic in it. She played my daughter. Of course, it wasn’t much of a stretch. But it was fun, because she had a lot of scenes with Joe Lando who, of course, was my “Dr. Quinn” co-star. Heather Locklear (on flexing her comedy chops on “Saturday Night Live” in the ’90s): That was my favorite! That was my most favorite thing I’ve done where you could see that I’m funny. I had such a great time doing it. And that “Melrose Place” take-off was so funny. So perfectly perfect. I have a meeting coming up for something soon, something funny, so we’ll see. 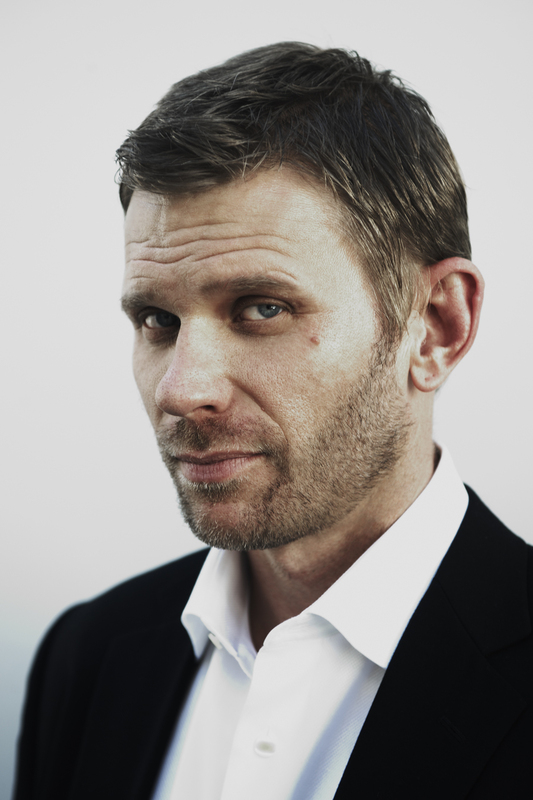 Mark Pellegrino (on the variety of the roles he’s played): Well, I’m glad that it is happening that way. Some folks would like to say that I’ve played bad guys. I think if I play the bad guy, I try to — I can never look at myself as a bad guy. I always try to bring out the good and the moral and the right that the person is going for, so hopefully any variety that I’m able to bring to a role just happens because I’m trying to find the human thing and not act in an archetypal way. Eric Winter (on possibly working with wife, actress Roselyn Sanchez): You know, I don’t know. If the right project ever came up, and it made sense, then sure. I mean, we’re not completely against it, but it’s one of those things that a lot of couples — sometimes you keep it separate, but if the right opportunity presents itself, then who knows?